A house is of course a sum of its parts, the chimney, roof, doors, porch, windows, even drainpipes, front paths and gates. 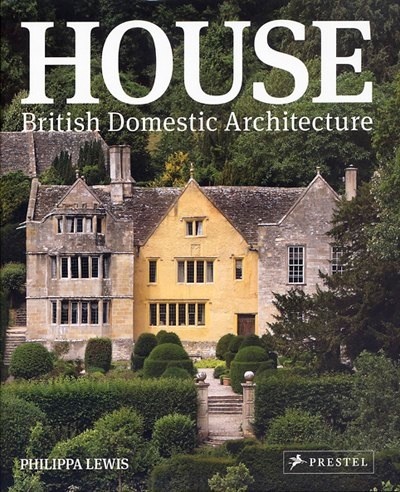 There is a section on each of these architectural features; with a historical explanation and illustrations (over 600) in chronological sequence, so it becomes possible to sort out the Elizabethan from the Georgian, and the Arts and Crafts from the Art Deco. Exploration of the pages will also answer such questions as what exactly is a mansard roof, when did sash windows first appear, or where do you find Coade stone? House also looks at building materials, which are as various as the British landscape. The building in each region takes its characteristic appearance from the texture and colour of its stone, the output of its local brickworks, the clay of its tiles or the pattern of it timber-framing. Cast iron, renders and stuccos, glass and corrugated iron all add to the rich mixture.